Valbonne Sophia Antipolis, is slightly inland from the Mediterranean cities of Cannes and Nice, it is one of the most exciting combinations of old and new in the whole of France. The ancient village of Valbonne is in the Alpes-Maritimes department of the Provence-Alpes-Côte d'Azur. Valbonne contrasts with the high-tech and exciting ambience of Sophia Antipolis. It is a warm and peaceful village - here the art of living and conviviality reigns. Set back from the coast, it’s a mediaeval town that is thriving, with a wonderful traditional market every Friday. Here you can buy everything from fruit, vegetables, cheese and cured meats to jewellery, clothing and leather goods, or even spices. The centre of Valbonne is beautiful; the large market square is surrounded by restaurants and there’s always something going on. This is the perfect place to spend a Sunday morning, drinking coffee and reading the newspapers, or relax over Sunday lunch with a glass of rosé. Valbonne property for sale is very popular with people wanting to move to the Côte d'Azur who are looking for a beautifully preserved town with history and character. It also has excellent French schools with the International school at Mougins nearby. A short distance from Valbonne is the science and technology park of Sophia Antipolis which was built in the early 1970s and modelled on La Defense in Paris. It has evolved into a global business community with a large number of English-speaking residents. The ‘park’ is aptly named: it was planned with large green spaces and generously planted with Mediterranean trees and shrubs; this adds enormously to the quality of life for people who live and work in the area around Valbonne. The ancient village of Valbonne itself, meanwhile, was founded in the early 16th century and remains a little-known gem of the French Riviera. The village retains its Roman character, laid out on a rectangular grid around a central square and restored largely to its original state. Together they make up a commune in the administrative department of Alpes-Maritimes, and represent one of the most exciting investment opportunities in France today. Owners of Valbonne property are almost guaranteed year-round sunshine, while winters are mild, you could easily be sitting outside in January, sipping a cool glass of something that originated in a local vineyard. A relaxed lifestyle, more than 300 days of sunshine a year, and a varied and enticing cuisine add up to a perfect holiday getaway or, equally, a relaxing permanent residence. Archaeologists have found traces of human settlement dating back to the Iron Age and the very dawn of agriculture: Valbonne property has been popular for a very long time. Arcades were added to the central square in the 17th century which then became known as the Place des Arcades. It’s now lined on all sides by terraces of thriving little cafés and characterful shops. The narrow streets that run off each side invite you to amble and gaze at the beautiful townhouses and restaurants, before you stroll in for a well-deserved aperitif. Wandering the cobbled streets of the immaculately restored village, you feel you have stepped back in time to a much earlier France, with stone-fronted houses, ornately decorated lintels, and porches hung with vines. Valbonne is an excellent place to invest, with its authentic townhouses for sale in the centre of the village, it is particularly popular with British buyers. In Peynibou, to the south, there are a number of 1980s lotissements (developments) offering reasonably priced family-houses with good gardens. 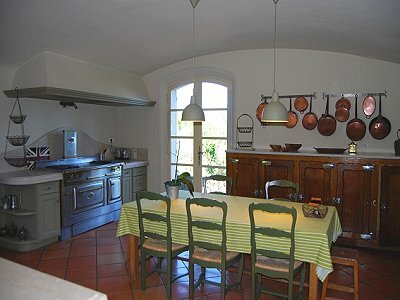 For those looking for more privacy, one of the best hunting-grounds for prestigious Valbonne property for sale is Veroniere to the east, towards the town of Biot, where pottery and glass-blowing have been famous for centuries. Tamaya, a short walk from Valbonne northwards, offers large villas on generous plots and is very sought-after. Hereabouts the minimum plot size tends to be around 5,000 square metres, with houses surrounded by trees and shrubs, and large pools provide cool relief from the Mediterranean heat. The area is busy all year, with it’s popular Friday market and an antiques fair on the first Sunday of the month. Many fêtes are celebrated in the village, with live music and parades that are great fun for all the family. This region has been a British favourite for many years; the increasing number of direct flights to Nice from the UK and other countries have made a second home on the French Riviera much more feasible. The large number of resident artists and craftspeople in Valbonne, as well its museums and galleries, all generate a well-deserved reputation as one of the great creative centres of the South of France. For the more sporty, activities such as basketball, canoeing, fencing, mountain biking and football can be enjoyed at the Bouillides sports complex. There are also many golf courses and, this being the Riviera, a large variety of maritime and aquatic activities close at hand on the coast. For everyday shopping, there’s an out-of-town centre, placed to preserve the historic character of the centre of Valbonne. Valbonne means ‘good valley’ in Provençal, a very good description of an enchanting area steeped in history, yet one that is also thriving and very much alive. Valbonne property may not be particularly inexpensive, but it is excellent value, highly desirable and sought-after, and the location offers the investment-minded buyer a perfect combination of ancient charm and modern vivacity.